April 26, 2017 - Like us now! Today, we are going to tell you about different Telenor Call Packages 2019 in the Prepaid and Postpay category, overall usage types and pricing cadres, be it hourly, daily, or monthly, On-network or Off-network, National or International Dialling. Based out of Norway, Telenor entered Pakistani market more than a decade back. It soon became one of the Pakistan’s top network providers in Pakistan that are providing good mobile connectivities over all the three 2G, 3G and 4G spectrums. It boasts significant user base in Pakistan too. By the fourth quarter of last year, the company had over 39.428 million mobile subscriptions and with over 6000 employees. Previously, we talked about Telenor Internet Packages, Telenor 3g, 4g device Packages, and Telenor 3G/4G Internet Settings. Today, let’s take a look at the Telenor Prepaid and Postpay, call packages 2019. The following details will include Telenor Call packages offered through its TalkShawk tariff. You can find bundles as compared to both type of customers, Prepaid and Postpay, for hourly, daily, weekly, and monthly time spans. Here are the Daily Call Packages, Telenor offers to its customers. Here are Telenor 3-Day Call Packages. The Weekly Call Packages provide peace of mind for one entire week and you would be able to call your loved ones throughout the week. Hence, here presenting to you the Weekly Call Packages from Telenor. 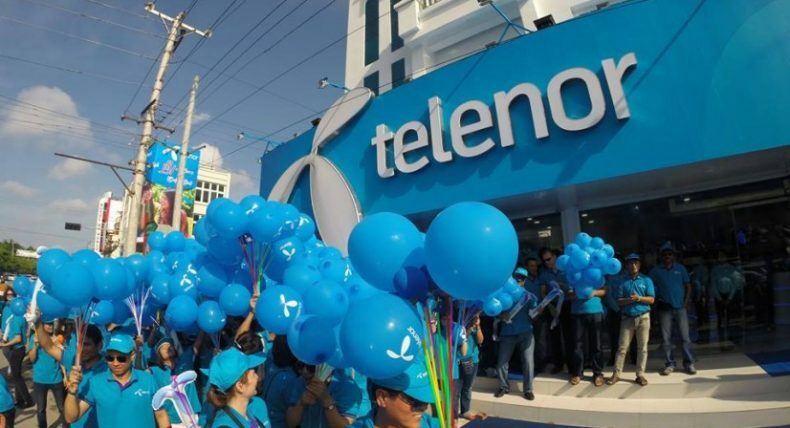 These details will include Telenor djuice Call packages and bundles given for both type of customers, Prepaid and Postpay, for hourly, daily, weekly, and monthly time spans. Here are the Daily Telenor Call Packages for djuice. The 3-Day Call Packages have been designed so that the users can call their loved ones for a time duration of three days, even without resubscribing. Here are the Weekly Call Packages from Telenor in djuice tariff. We have already discussed the prepaid offers from Telenor Call Packages. Next, we will be taking a look at Telenor Postpaid Call Packages/Bundles. Telenor provides sufficient on-net call packages in order to cater all the user. There are three type of bundles which address to different usage magnitudes respectively. There is also the same type of Off-net Telenor call packages which provide minutes to cater different usages; small, medium or large. Telenor also has significant international dialling packages up its sleeves which its users can use in order to make international calls to their loved ones. The first two offers provide minutes for the following 24 countries Australia (Landline), Cyprus (Landline), Greece (Landline), Hungary (Landline), Italy (Landline), Ireland (Landline), Norway (Landline), Poland (Landline), Slovakia (Landline), Sweden (Landline), Switzerland (Landline), Portugal (Landline) and for Austria (Landline + Mobile), Belgium (Landline + Mobile), China (Landline + Mobile), Denmark (Landline + Mobile), France (Landline + Mobile), Germany (Landline + Mobile), Hong Kong (Landline + Mobile), Malaysia (Landline + Mobile), Netherland (Landline + Mobile), Romania (Landline + Mobile), Singapore (Landline + Mobile), and Spain (Landline + Mobile). All Telenor djuice and TalkShawk subscribers can get this offer, unless mentioned otherwise. Special Numbers, VAS, and Premium Codes are not included in the offer. All Telenor Postpaid subscribers can get this offer. You can view your remaining free minutes by dialing *222# (Rs 0.20+tax charges apply). This bucket can only be used provided you have International Dialing enabled. Get it enabled by calling 345. 19.5% FED and 14% WHT Tax applies.